I’ve only been to First Friday in Lancaster once, but I am going again on Oct 2. It should be great. Ryan Smoker and Ryan Martin of Infantree are putting together a pop-up show at Passenger Coffee Roasters. 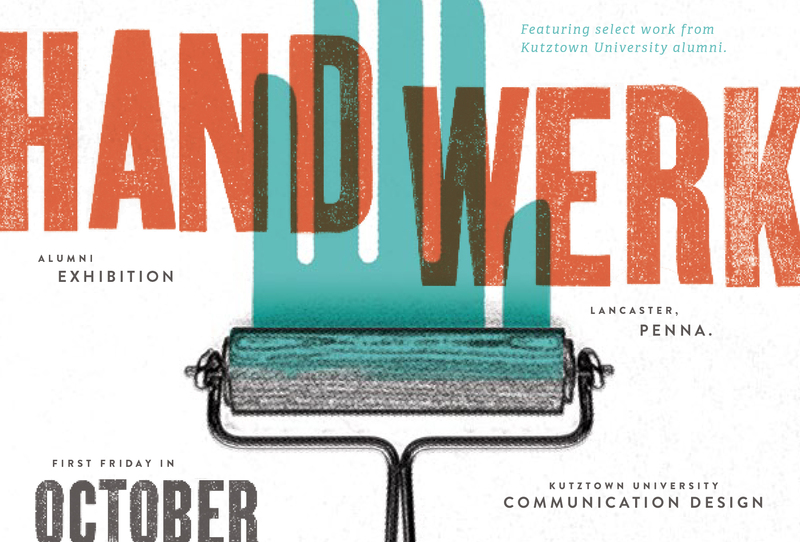 The posters are by grads of Kutztown’s Communication Design Dept. I got a preview of some of the work in Prof. Karen Kresge’s flat file. I wrote to handful of the artists, Brian Barto got back to me. Brian has been a designer for over 10 years at Goodwin Design Group. When he steps away from the computer he likes to work with real stuff. 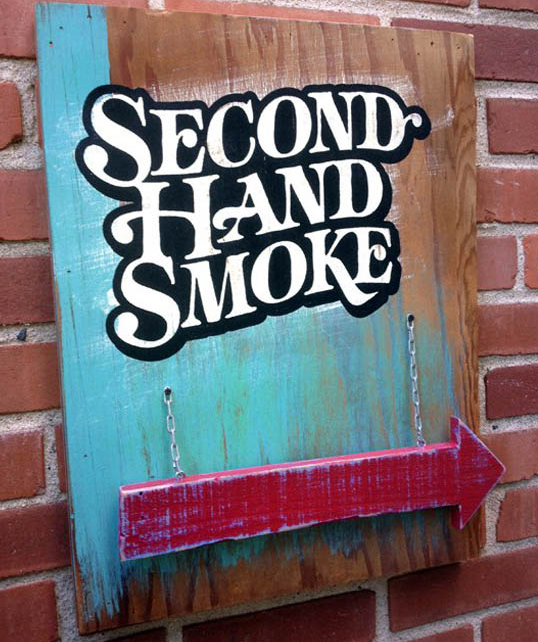 He says he enjoys being in his home in his workshop making “pieces/fabrications/reinterpretations mixing found objects with vintage signage” The work above is constructed of reclaimed wood, acrylic silkscreen print, latex paint, and chain. 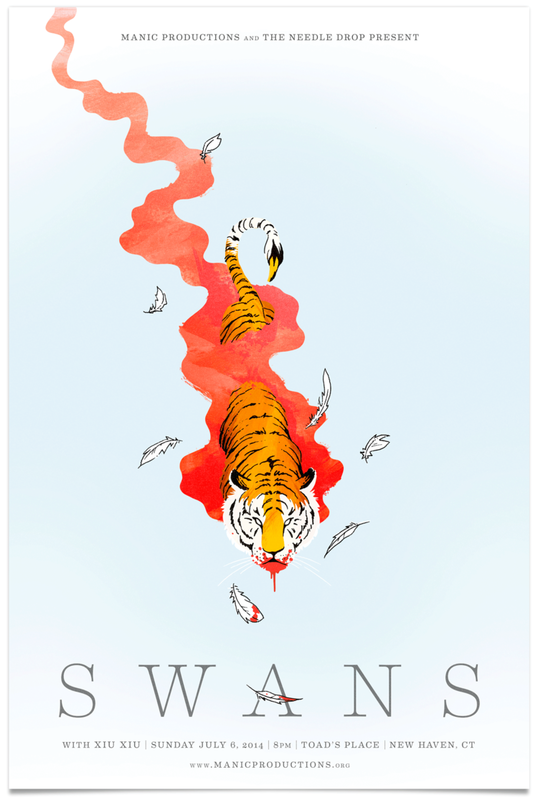 Brian’s personal website, whiskeyandchocolate.com is overflowing with his work. 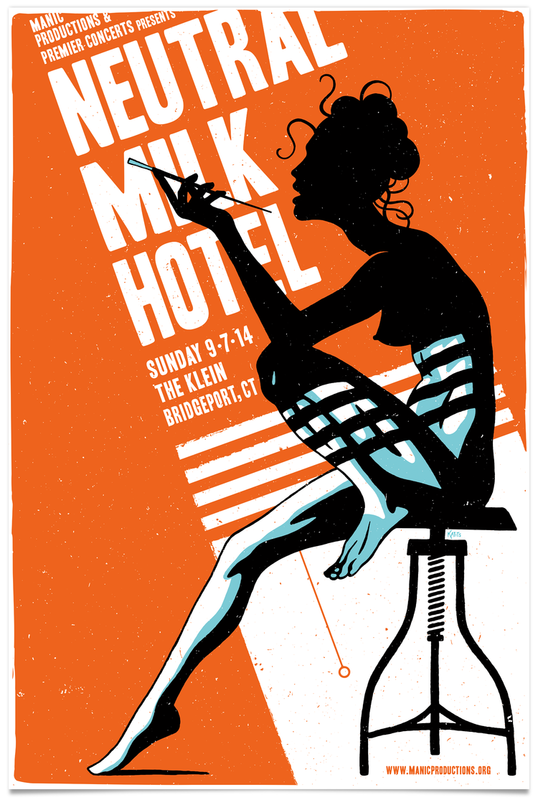 There will be some impressive gig posters. The remarkable images above and below are by Mike Katits, who once traveled to Mexico with me. He is a wild man. Mike is now a senior art director at TracyLocke in Wilton, Connecticut. A good number of our best grads work there. “Yes, I am somebody’s father,” I answered truthfully, “I want to see The Aurora.” The bouncer said,” Go away, come back in two hours, I’ll let you in. They don’t go on until midnight.” I came back. The bouncer seemed surprised. The band screamed well. I ‘d say Ryan is a better designer than guitarist. 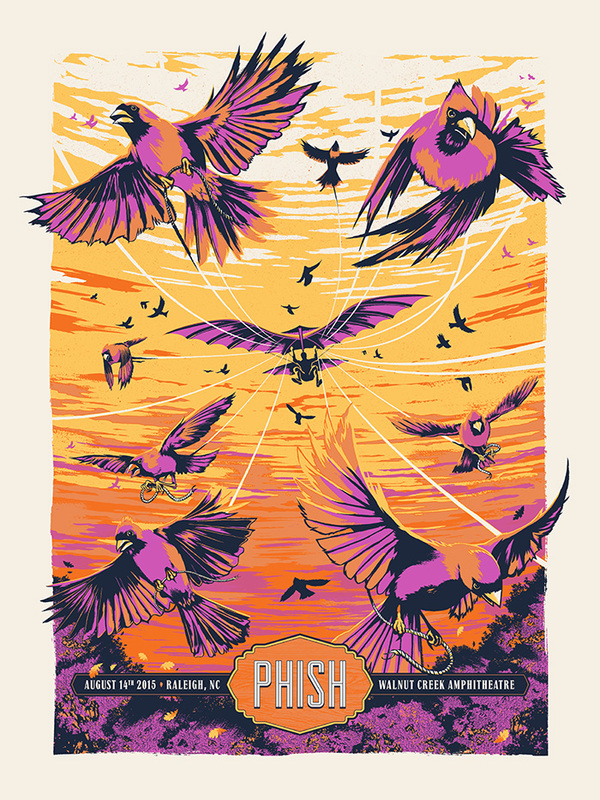 Below is his poster for Phish. 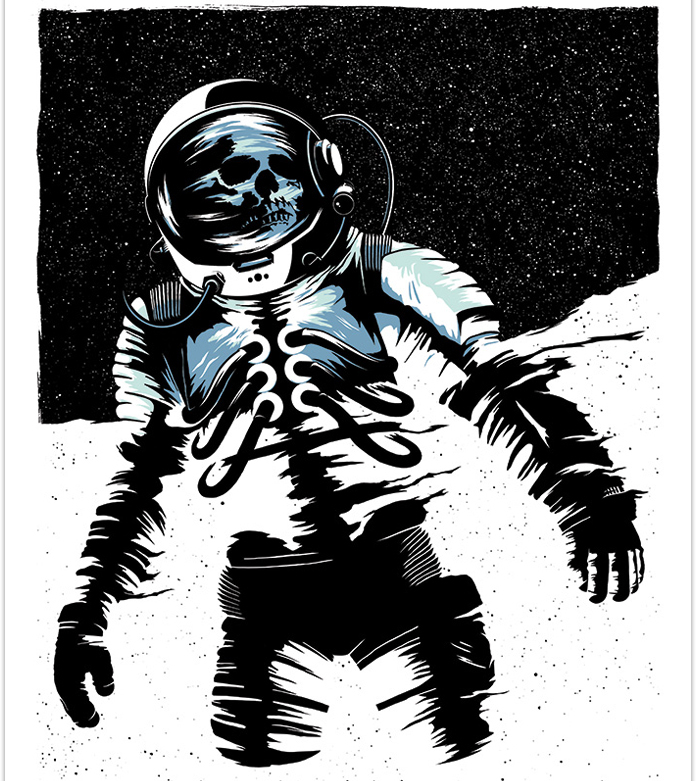 Ryan sells his limited edition posters at ryanlynndesign.com for as little as $25. Last time I visited Ross Moody’s website at 55hi’s, most of the work was purely typographic. Now he has a lot more illustration including a series of illustrated alphabet posters. Not sure what will be on the wall in Lancaster but I grabbed a sea themed print from his website. 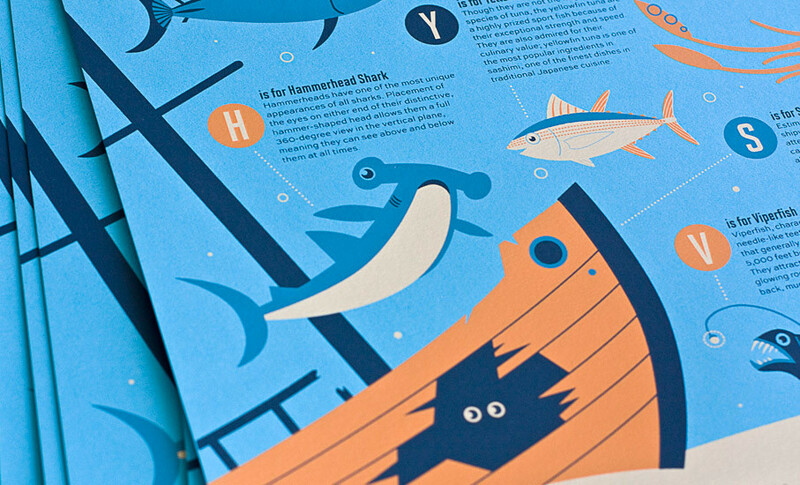 Ocean Alphabet (detail) © Ross Moody. Corey Reifinger has been doing some weird stuff for Johnny Cupcakes. Corey went to Mexico with me, too. I do think Mexico can expand one’s creative vision. 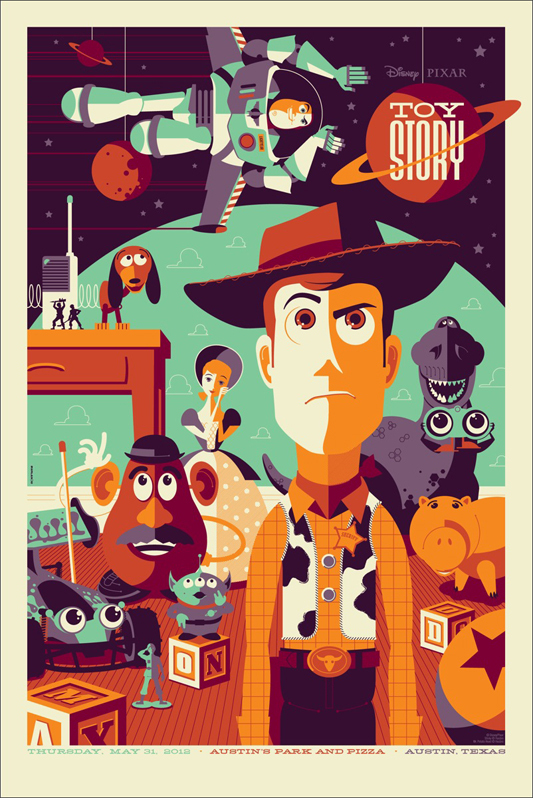 Corey has developed a witty and graphic illustration style. 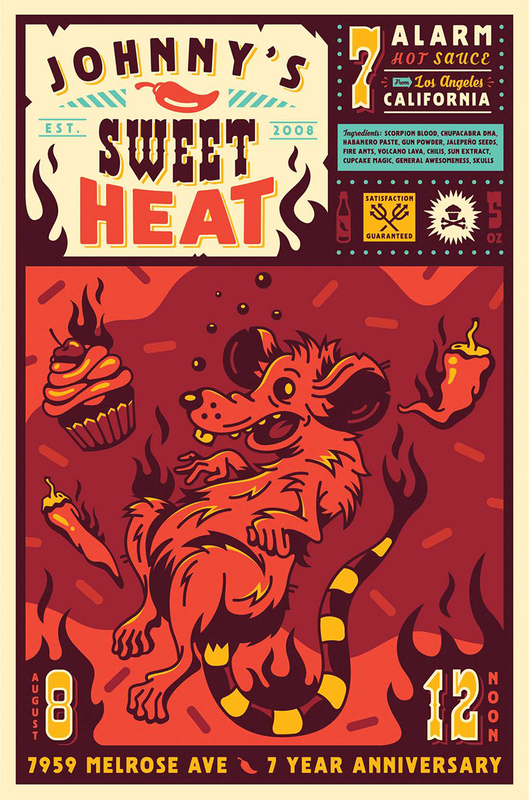 Not sure I even understand the poster below, but it has rats and hot sauce and cupcakes, three of my favorite things. Corey has a lot of wild work at this site. Google the man, he has work all over the place. The image below was lifted from the web. 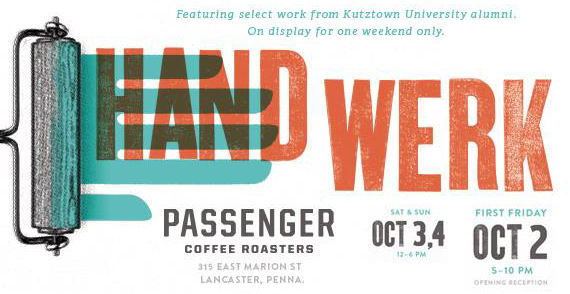 I’m not sure exactly which works will grace the walls at the Handwerk show at Passenger Coffee in Lancaster Oct, 2 -4. But I am sure it will be delightful. 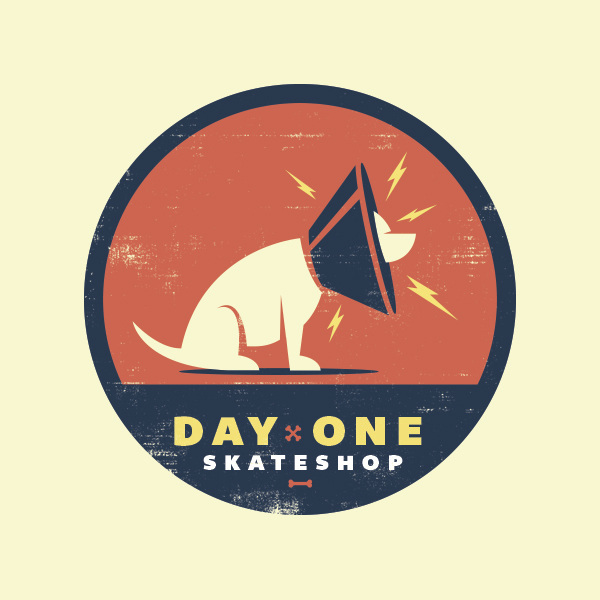 Day One Skate Shop © Corey Reifinger. Next > Orale! Alan Altamirano esta en Kutztown.